“It’s all in the mind.” This was the quote that stick to my consciousness as I write this blog tonight. This was repeatedly said by Fr. Arlo and the community during the 1st day of the Misyong Pilipino Healing Series at St. Joseph Church, Abu Dhabi. Together with incessant laughs as the priest described in detail what the conceptual healing really is, we realized that the way we think will be the way we feel and the way we will become. Sometimes we are overwhelmed by problems and rigors of life. In order to achieve this healing, we need to feed our mind with positive thoughts and look for opportunity in the problems instead of stressing ourselves of these burdens. If we do the latter, we only making our lives harder. In effect, negative thoughts cloud our mind. The healing process is basically the nourishment of our mindset with positive thoughts in spite of the sufferings we are facing. What we think is what we become, it’s the Law of Attraction. If we think negative thoughts, that thoughts will materialize. We are sending the negative frequency to the universe and that also we will receive. On the other hand, if we thinks positive thoughts we will experience positive things in return. And if we are grateful for the positive things we are receiving, the more blessings we will receive. Hold every thoughts, do not let the thoughts hold you. You should be in command of your thoughts and the way to do it is to think positive things. Do not let the problems put stress to your life since you will be the one to suffer more if you let it that way. Make your thoughts obey you. You see the Lord’s burden is light, why not give our problems to Him and thy Will be done. The 2nd day will be another interesting topic. It will be about relationship healing. Do you pray for long life? Tomorrow we will be enlightened that we do not pray for long life, instead we pray for happy old age. What is the purpose of being alive long enough if our relationship with our wife, our children and our friends is shuttered? What is the essence of this if our children are fighting over money or attention? Indeed, true happiness will be attained if we set our mind to it. And if we believe that we have achieved it, we will receive. Day 1: Conceptual Healing – healing our mind. 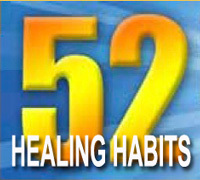 Day 2: Relationship Healing – happy old age. Go out and bring your family. The Misyong Pilipino will be life changing for us and for the community. It’s never too late, so come and bond with us. For healing is the cure of the whole self, which leads us to become holy. Reflection: Do you think positive thoughts despite of the problems or sufferings you are facing? Are You Wounded Within and Needs Healing? Thanks bro. You can do it too, start ka na rin ng blog mo pinsan. It's all in the mind. =) God bless.